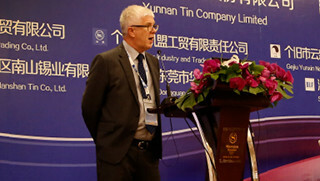 The International Tin Association (formerly ITRI Ltd) is the only organisation dedicated to supporting the tin industry and expanding tin use. 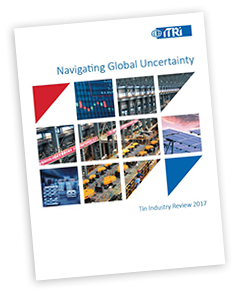 A primary goal is to ensure an innovative, competitive, and sustainable supply chain and market for tin. We are a focal point for discussion and action on important regional and global issues affecting the tin industry, promoting the industry worldwide, providing authority, leadership and voice. To bring leading companies together to defend and grow markets for tin by exploiting its superior technical properties contributing to sustainable development and improved quality of life. Collection and sharing Information with all leading companies. Providing reliable information on tin applications, sustainability and markets. Listening to and speaking on behalf of all our members. Supporting tin use through co-operative projects. Welcome to the International Tin Association. Established in 1932 in London, UK our organisation has evolved to recognise a broad range of tin industry issues and expanded activities in areas such as market analysis, technology, sustainability, and regulatory affairs. Now, as the International Tin Association we represent more than two thirds of global tin production with a significant tin user engagement. I hope that you enjoy our new website which provides a wealth of information and insight to the world of tin. The success of International Tin is dependent on the dedication and hard work of our staff, strong support from our members, and our large network of global contacts. I would like to thank you all for your continued support.